IN A GALLERY FULL OF ART - ALL I CAN STARE AT IS YOU. Jacqs + Lucas. Nestled in the beautiful groves of Olio Bello, these two beautiful souls said their vows surrounded by their closest humans drenched in the summery southwest sunlight and fresh, country air. With travellers from all over the world, it is clear as a crystal ocean that Jacs + Lucas are two loved individuals. lady b and simes went away with the traditional church wedding and opted for an ultra rad three day destination glamping wedding on their private property in jarrahdale, western australia. elli + brodie. 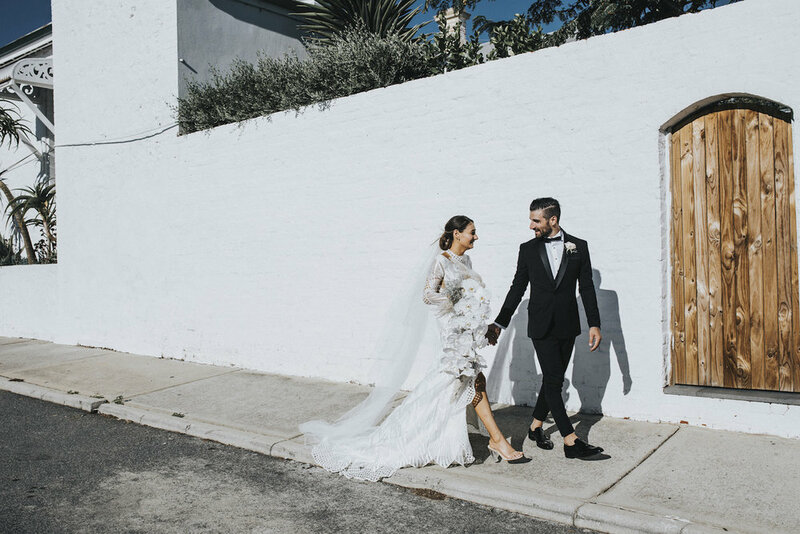 these two perth-based lovers eloped to the north-west coastal town of broome, australia.